These days, very few motorists leave home without first grabbing their cell phone. Unlike the basic cell phones of yesteryear, the smartphones of today are essentially like a small computer. Whether you own an Iphone or any other smartphone, your device actually has the ability to improve you driving experience. 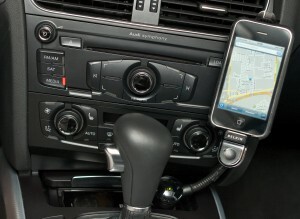 Here are the best apps that will integrate your car with your mobile phone. If you own an older vehicle that lacks any high-tech safety features, this is the perfect app for you. With the use of the phone’s camera, the Augmented Driving app is able to provide neat safety features such as lane departure and front collision warning signals. The app costs less than three bucks, so it is extremely affordable. The only accessory that you will need to purchase is a mounting bracket to affix the phone to the windshield. Car enthusiasts that care about their vehicle’s performance data will love the Dynolicious Classic app. For an inexpensive cost of less than $10, the user will be able to test several of their vehicle’s performance parameters. Some of the performance data includes 0-60 mph acceleration times, quarter-mile times, horsepower output, and lateral acceleration. The observed test data can also be saved for comparison. Waze is definitely among the best apps for car owners. This navigation app enables motorists to avoid traffic jams by delivering real time traffic data. Within seconds, the Waze app can provide an alternate route. People also love the fact that it alerts the driver if there are any cops in the vicinity. The Witness Driving app transforms your phone into a legitimate dash camera. This will come in handy if you are involved in a car accident or unfairly ticketed by the police.